Organic farming grants can help lessen the financial burden for farmers who either want to start a new organic farm or who want to convert an existing conventional farm to organic practices. Farms do not become organic overnight, and for this reason it can be a costly venture. Organic farming grants come from many different sources. The requirements for applying for a grant vary from one source to another, so if you intend on applying for a grant you should carefully study the requirements set by the source before applying. If you are unfamiliar with grant writing you may want to buy a book that explains the intricacies of applying for grants. The expansion of internet-based farming resources over the past decade has made grants for farming much more accessible. These grants cover a wide range of needs and they come with their own specific requirements. For example, one grant may only consider your application if you are engaged in public outreach programs while others will only fund organic programs that are conducting research of some kind that will contribute to the overall knowledge of organic farming. As a result, it's important to look at grants as less of a generalized funding alternative and more of a specialized need-based funding option. The Organic Farming Research Foundation gives grants to farmers for both research projects and educational/outreach projects. Applications for grants are accepted four times a year. The United States Department of Agriculture (USDA) has grant programs available to farmers who are trying to develop solutions to common problems in the organic farming industry through research projects and education. The focus of this grant program is to fund research initiatives to bridge the gap between organic standards and higher end costs. The Pacific northwest is a bustling center of organic agriculture. The Center for Sustaining Agriculture and Natural Resources (CSANR) is an organization that promotes organic standards and development in the Pacific northwest to enhance food security in the region. Research grants are available to organic farmers who set aside a portion of their farm for research purposes. The type of research conducted will determine which grants are available, but there are some benefactors who want to prove the merits of organic farming through research and are willing to fund research through grants. Educational grants are given to farmers who are willing to allow their organic farms to be used for educational purposes. These farmers may be required to host educational seminars or internships on their farms in order to meet the requirements of the grant. Location grants are granted to people wanting to develop certain areas for organic farming use. These grants are generally given to people wanting to purchase land and create an organic farm within an underdeveloped rural area in need of development. Business grants give money to people starting up a new business. Since organic farming falls under the category of a new business, grants are available through this method. Other grants come in a wide variety of ways. Some grants are available to people regardless of the farming being organic or conventional. Certain groups - women, military veterans, previous farmers - may be able to find generous grants designed for their specific subculture. 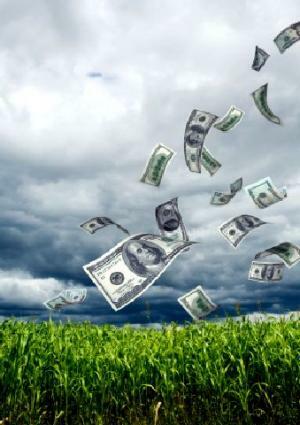 Although there are many types of grants available for organic farmers, obtaining a generous grant is not necessarily an easy task. Everything you need to know about finding appropriate organic farming grants is available online. Don't pay a grant-finding service a huge fee just to locate potential grants for you unless you simply do not have the time or energy to expend in finding the grants yourself.